There are 28 types of punishments mentioned in Garuda purana.If seen in detail all are cruel. Hope these are told because humans will not do any bad things during their lifetime. In other words to create a fear among humans if you do this you will face the punishment mentioned in Garuda purana. But nowadays people are doing all sorts of falsehoods by keeping aside these myths. Is this a myth or real? It is not opinion based question. Does itihaas mentions about Hell? Does itihaas says Hell to be endured because of bad karma? , I (Indra) caused thee to be sent for having a view of Hell. Thou hadst, by a pretence, deceived Drona in the matter of his son. Thou hast, in consequence thereof, been shown Hell by an act of deception. The path was inauspicious and difficult and trodden by men of sinful deeds. It was enveloped in thick darkness, and covered with hair and moss forming its grassy vesture. Polluted with the stench of sinners, and miry with flesh and blood, it abounded with gadflies and stinging bees and gnats and was endangered by the inroads of grisly bears. Rotting corpses lay here and there. Overspread with bones and hair, it was noisome with worms and insects. It was skirted all along with a blazing fire. It was infested by crows and other birds and vultures, all having beaks of iron, as also by evil spirits with long mouths pointed like needles. And it abounded with inaccessible fastnesses like the Vindhya mountains. Human corpses were scattered over it, smeared with fat and blood, with arms and thighs cut off, or with entrails torn out and legs severed. He beheld a river full of boiling water and, therefore, difficult to cross, as also a forest of trees whose leaves were sharp swords and razors. There were plains full of fine white sand exceedingly heated, and rocks and stones made of iron. There were many jars of iron all around, with boiling oil in them. Many a Kuta-salmalika was there, with sharp thorns and, therefore, exceedingly painful to the touch. There are lot of persons here who are masters of vedas and will give you an excellent answer. I am not as muchas experienced to them but will give an answer to my knowledge. But it does not mean God will not accept anything other than that. See the image below he is Kannapa Nayanar. 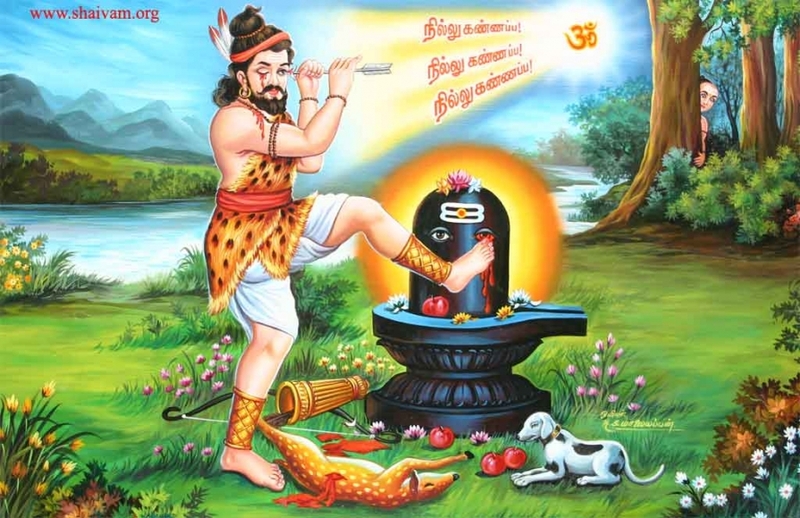 He keeps the leg on the eyes of lord shiva and meat is offered to him. He does not care. 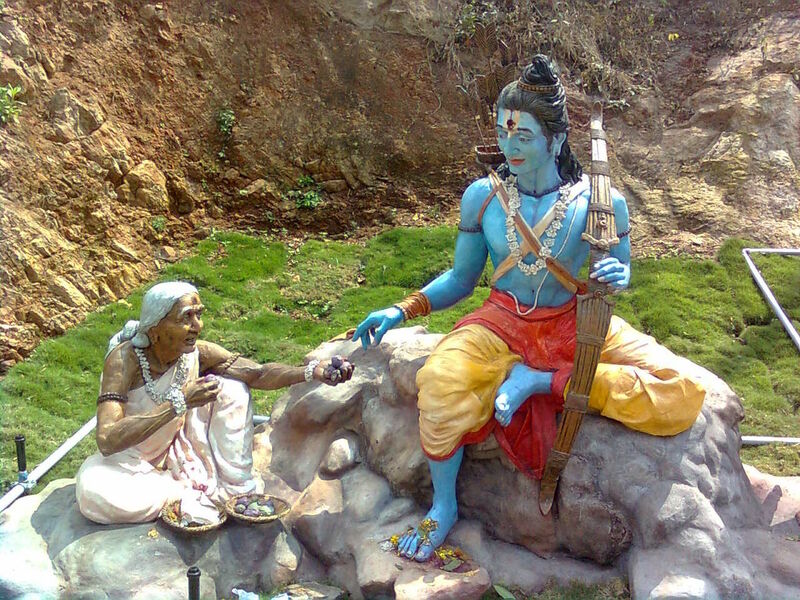 There is also a similar story in Ramayana - Sabari offers half eaten fruits with lord rama. So, from here you can realize that God will accept anything which has love. 2. Why God is creating fear in humans in the name of punishments? God will do anything to save you from suffering, Literally Anything! here is an example God consumes poison. 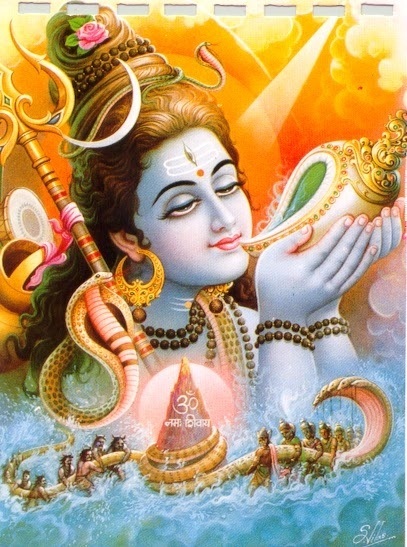 This has created an everlasting stain on the neck of Lord Shiva, why does he do that? Just to save you(everyone) and me from suffering. It is ultimately us who choose the wrong path and end up in the wrong place(hell). So remember god does not hold the key to hell, it is with us to choose the right path. credits: Uday Krishna for providing verse number and completing the statement. Not the answer you're looking for? Browse other questions tagged mythology puranas garuda-purana naraka . Who need to do the Garuda Purana pooja? Why Garuda Purana and Brihadaranyaka Upanishad ask to beat women?